The Government General Hospital in Vijayawada is the first teaching hospital in the state which will now offer the cadaver transplantation at an affordable cost. It has just received the nod for performing the expensive procedure of organ retrieval and transplantation. The government is also reported to have capped the expenses for heart transplantation at Rs.12.5 lakh and kidney at Rs.1 lakh. At present, the institute is equipped to carry heart, kidney, and lung transplantation, with liver transplantation likely to be offered in the future. The recently built Podila Prasad GMCANA Super Specialty block at the hospital will perform the transplantation. It would be done in PPP mode as the GGH had already entered into a MoU with Sahrudaya Trust headed by noted cardiac surgeon Gopalakrishna Gokhale. The new transplantation programme is covered under the NTR Arogya Seva, a cashless health scheme, which means all those possessing health cards are eligible for the treatment. As reported by Hindu, announcing this at the super specialty block on Monday, Minister for Health Kamineni Srinivas said that the GGH had been registered under the Jeevandan scheme and guidelines framed. The State government introduced Jeevandan in 2010 to address issues pertaining to declaration of brain death, infrastructure, coordination and public awareness. NTR University of Health Sciences, Vijayawada, is the Appropriate Authority for Cadaver Transplantation (AACT) for Andhra Pradesh. 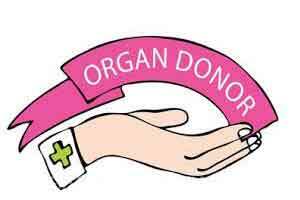 Voluntary organ donors can register themselves under the Jeevandan scheme. Hospitals that have facilities for cadaver transplantation are registered under the scheme. The Minister, who underwent total knee replacement surgery, said that knee replacement surgeries too would be performed in Government hospitals at Guntur, Kurnool, and Visakhapatnam. The facility is now available at Tirupati.